It’s January in the Great White North and many people are thinking about escaping the cold for some time in the Sunny South. With the new added cost for luggage on the airlines, its time to start thinking on how to pack more in your bag and paying less for extra luggage. Here are some packing and traveling hints. For space-saving and to prevent wrinkles, roll your clothes. They take up less space and will come out wrinkle-free. 2) Pack two shirts for every pair of pants. You are more likely to wear pants a second time and if going to the south, you are less likely to wear long pants. They take up a lot of room in the suitcase, bring only a few pairs. 3) Shoes take up a lot of space and are heavy. Pack only the ones you really need. Pick one pair that goes with your clothes for dress. Think about what you will do and choose a couple of other light shoes. When packing them place them where the wheels are on your luggage. This stops them from weighing on your clothes and wrinkling them. 4) Wear running shoes to travel. They are safer because of the lack of heals when moving around on airports, planes, and boats. Also, you won’t be standing in bare feet at the airport when you have to remove your shoes to go through security. You will be thankful to have those socks on instead of standing in your bare feet were thousands of other have stood. 5) When your shampoo and toothpaste get to the half-empty mark at home, put them in a plastic bag to travel with. They are lighter than full bottles and you can leave them behind in the recycling, making room for the new items you bought on your trip. They are less likely to spill and ruin anything if put in the plastic bags. 6) Invest in a waist pack. Yes, I know they are not a fashion statement, but they allow you to carry your room key, cash, and other items which leaves your hands free and is much harder for someone to walk up behind you and grab. Leave the big purse at home. 7) Carry your electronics on the plane with you. The number one most missing item on the plane is electronics. If you leave that big purse at home and wear a waist pack, your case is considered your carry on. You will have room for all your travel documents and extra pockets for the things you need. 8) Bring costume jewelry. You don’t want to be walking around looking like an ad for a jewelry store. Rhinestones are less heartbreaking if lost or stole than diamonds. I can’t tell you how many ten-dollar watches I have lost on a beach. 9) Buy what you need at home. You will pay twice as much for suntan lotion and other items in the hotel store. Most drug store and Wal-Mart carry travel size items if you need a small amount. Remember that everything you buy on an island has to be shipped to the island and you are the one paying for the shipping cost. 10) To keep your clothes smelling fresh and not getting that packed up smell. Line your bottom of your luggage with a couple of fabric softener sheets. They become useful on the way back to put in with the dirty laundry. 11) Decorate your luggage. It’s easy to pick up a bag that looks like your yours. Make your luggage recognizable at a minutes sight, before someone else goes home with your clothes and you are left with none. Put on ribbons or stickers that you can see from a distance. Pick some things bright and large size to be seen easily. This also stops the luggage thief, they don’t want anything that is easily recognized. 12) This is the most important hint with traveling. 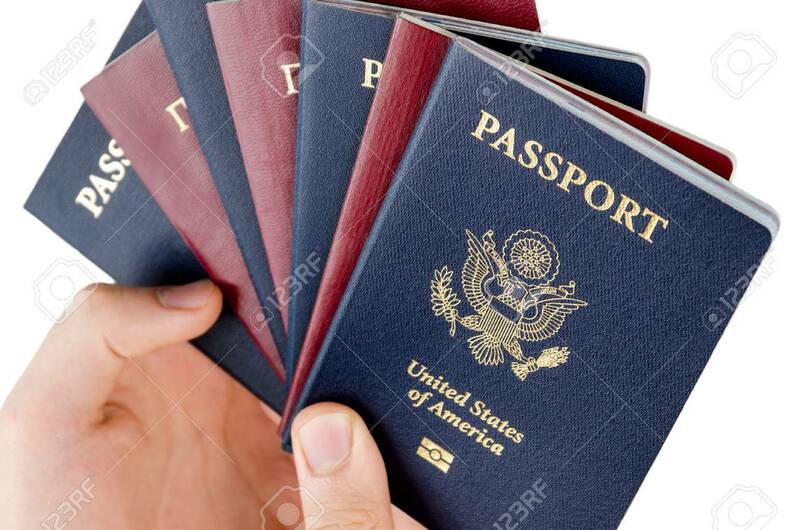 If you are traveling with someone else, have them carry a photocopy of your travel documents. When you get to your room, lock up your travel documents and carry only the photocopies. If you are traveling alone, still make a copy and carry them in two different places. 13) Carrying cash. I would say is your second most concern after your travel documents. If traveling with someone else, divide the cash between you. It is safer for your cash to be in two places than one. Do not choose your luggage as one of them. You can also separate your cash when traveling alone. Use your imagination, but make sure both of them are on you.